If you live in the South East of England you can’t have helped but notice that the weather is more akin to that of the Sahara Desert rather than rainy Great Britain. It seems that summer has well and truly arrived and for most, it’s a welcome thing – prompting midweek barbeques and evenings with your feet in the paddling pool watching the World Cup sipping on your favourite botanical Gin and Tonic (that’s not just us, is it?). With this inclement weather we have witnessed some harrowing incidents involving what can only be described as brush fires in parts of the UK. At the beginning of the month (July) a huge fire at Saddleworth Moor near Manchester blazed for more than a week, as dozens of teams of fire fighters were drafted in to try and bring it under control. Since writing, this fire is now being treated as arson after eye witnesses reported seeing people lighting a bonfire on the moor. Closer to home, in Little Marlow, a similar sized brush fire ignited and caused huge damage to farm buildings in Pump Lane South. The fire spread to a number of industrial units, destroying fields and crops in its wake. The blaze affected the busy A404 as smoke billowed across making visibility minimal as 30 different fire crews from Bucks, Berks, Oxfordshire and London fought to bring the flames under control. It is important to recognise that the fire crews fought courageously and were able to control the fire so that all residents living close to the fire on Pump Lane were safe and customers at the nearby Wyevale Garden Centre were evacuated safely. No sooner had the flames subsided in Marlow than reports of another fire in Holyport, nr Maidenhead, Berkshire were received. While smaller in scale, it is an area densely populated with residential housing and fire fighters were, again able to contain the fire before any residents were affected. It did cause large scale traffic congestion as the village of Holyport acts as an arterial through route to many nearby towns such as Maidenhead, Bracknell and Ascot. 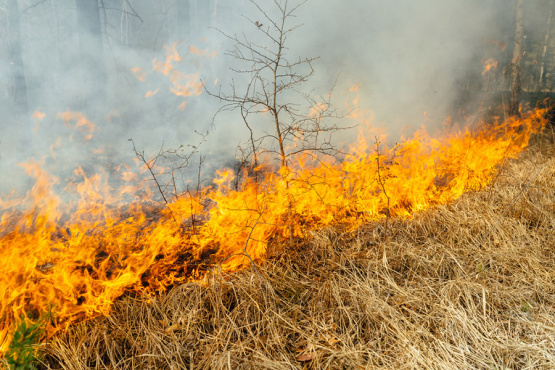 Remember if you see a fire in the countryside, report it immediately. Do not attempt to tackle fires which cannot be put out with a bucket of water. You can find more information on fire safety atBuckinghamshire Fire and Rescue Service. If you are looking to buy/sell or rent your home make sure you give one of our team a call on 01494 680018 or drop us an email – we’ll be happy to talk through your options. You can also follow us on Facebook, Twitter, Instagram and LinkedIn.